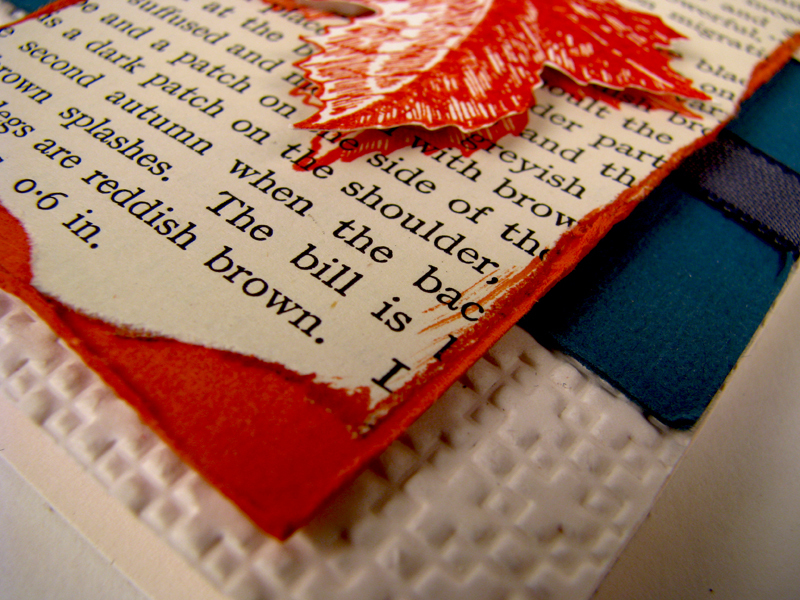 I love to make cards using pages from old book pages and I plan to share lots on this blog. Here's one to get us started. This page was torn from an old gardening book. 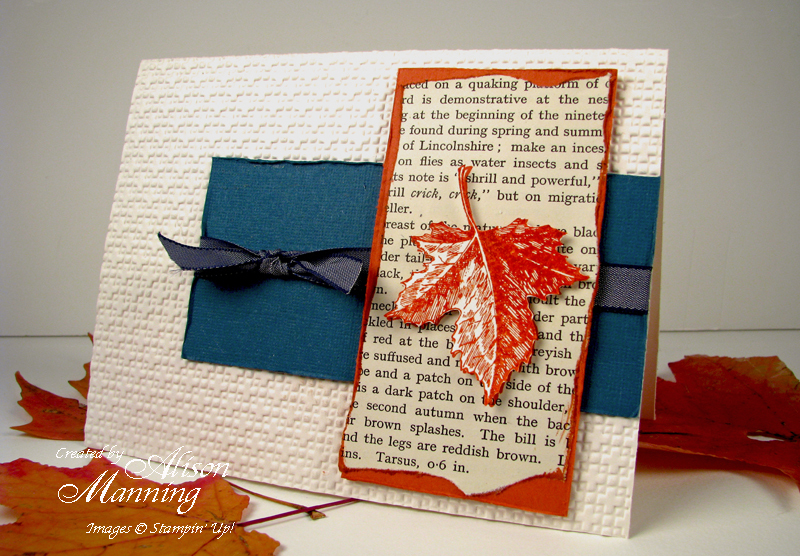 I rubber stamped a leaf onto it and then again onto cream card stock. I cut out the card stock leaf and mounted it onto the page with foam dots. Nice and simple! Tip: for a more organic and natural look, tear the book page to the size you need it, rather using a paper cutter or scissors. Then, run the torn edge along an ink pad to highlight it. Made a card using old book pages recently? Leave a comment here with a link or contact me. 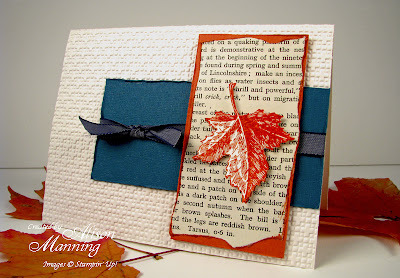 You never know, you could be featured on the Vintage Page Designs blog!